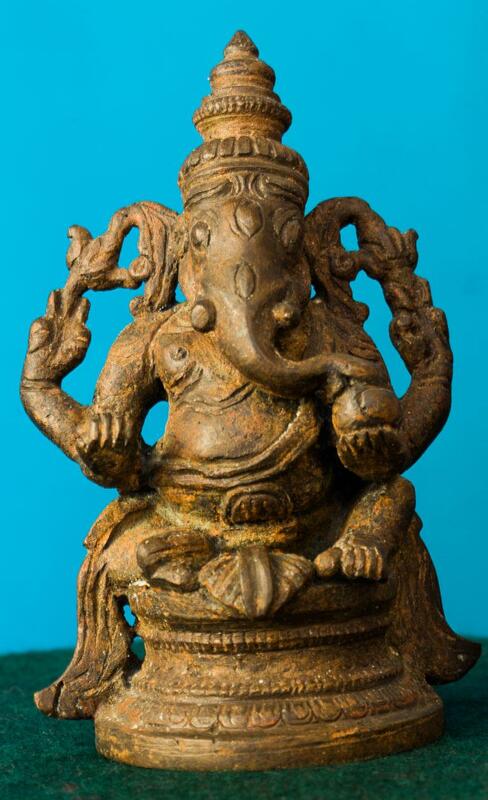 According to Hindu mythology Lord Ganesha is the son of Lord Shiva and Goddess Parvathi. Ganesha is unique in appearance with its elephant head. This exhibit is a four handed Ganesha. Three eyes are visible in the given exhibit. Yajnopavita is also clearly seen. The trunk is seen touching the sweet on one of the left hands.